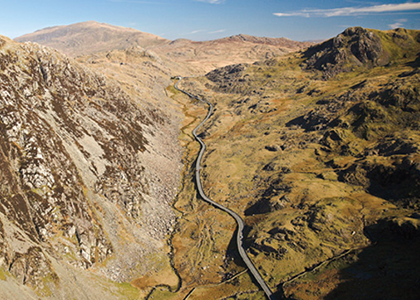 If you fancy a cycling holiday then you can’t do much better than North Wales. Stunning scenery, quiet routes, friendly locals and great cafes all make it a top destination whether you favour road or off-road. 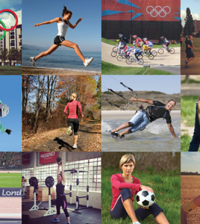 Local cyclist Steph Duits shares some of her favourite routes. 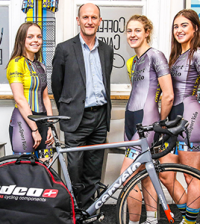 My favourite ride is a 50km loop that takes in a big climb to Pen-Y-Pass. It’s beautiful and varied with Llanberis Pass on the western side, a dramatic, mountain valley littered with crags and boulders, while to the east is Dyffryn Mymbyr and the beautiful, wooded Nant Gwynant. Depending on how long you want to stop and admire the views, it can take anything from one and half to three hours – or longer if you want to take in cafe’s along the route too! Be prepared for differing weather, it’s quite remote with no phone signal, but also reasonably popular so you are likely to meet other cyclists. Do take lights if you go in the winter months especially and be prepared for fog on the higher parts of the route. loop route: Llanberis, Nant Peris, Pen y Pass, Pen y Gwryd, Nant Gwynant, Beddgelert, Rhyd Ddu, Waunfawr and Llanrug to finish back at Llanberis. 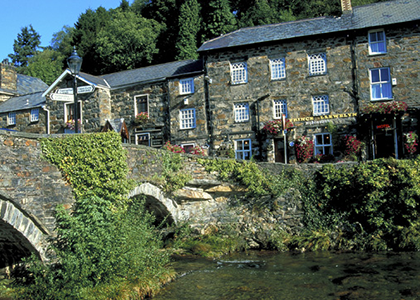 If you fancy something longer and a full day out then I love the route that starts in the lovely village of Beddgelert (pictured below) and stops for lunch in Bala. Again, it goes without saying that you need to be prepared for varied weather and ideally do this ride with a friend or a group. 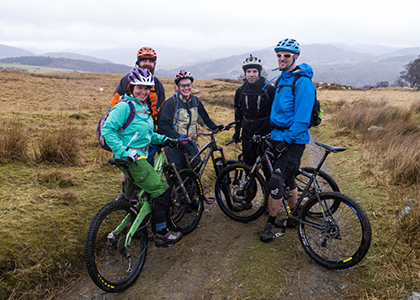 Loop route: Starting in Beddgelert, head south towards Garreg, take the small climbing road, Rhyd to Maentwrog, then follow the road all the way to llanuwchllyn and on to Bala which is a great spot to stop for lunch. Return north west out of Bala across the hills towards Betws-y-Coad, then Capel Curig and back to Beddgelert. The best ride to try in North Wales is to have a crack at going up Snowden. You can only do it May to September and you have to be off the mountain by 10 am in the morning or start at 5pm – this is to allow walkers access during the day and means everyone can enjoy the route. In the height of the summer it’s great to head off at 4.30-5 am and get to the top in an hour / hour and a half, you’ll then have the top to yourself. It’s about 100okm and a pretty tough climb, you’ll be pushing some of the way but it’s worth it for the view. Then have an amazing ride backdown and be home in time for breakfast. 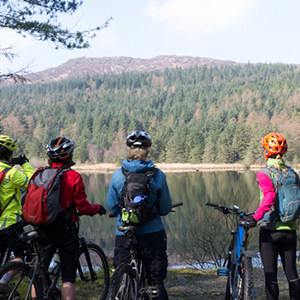 There are lots of great places with purpose built trails and something for all standards, including kids – head to Coed y Brenin forest park or the Penmachno bike trails. 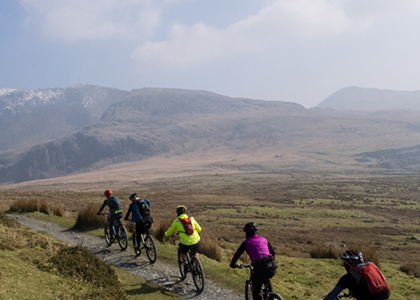 If you fancy a longer trail then there’s also the Marin Trail, it’s a true classic with big climbs, big descents, singletrack – and fabulous views of the Snowdonia mountains along the way. Most of the climbs are on forest roads and tracks and all of the descents are on singletrack. The trail is 16 miles (25km) long and climbs to 450m. Start the trail at the Saw Bench car park in the Gwydyr Forest. 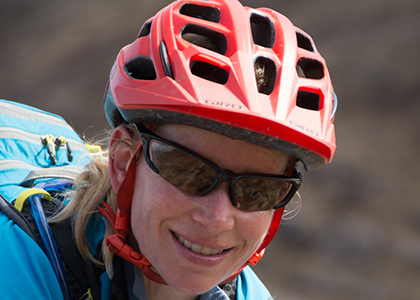 Steph has been cycling all her life and loves mountain biking and road cycling in equal measure. 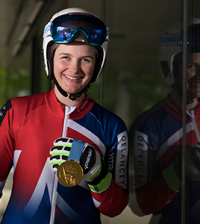 She regularly enjoys sportives and also plots routes for Mountain Bike Magazine, as well as contributing articles for Singletrack magazine. With her partner Tom Hutton, they organise guided rides and tours in North or South Wales, the Lake district and Scotland.